Emily Dickinson: poet, recluse. 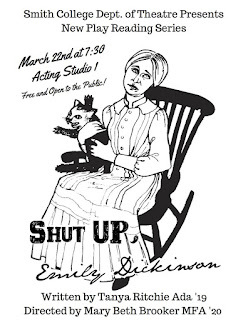 Loosely based on the Master Letters, “Shut Up, Emily Dickinson” is a pseudo-historical, quasi-biographical, hysterically existential psycho-romance about America's most brilliant and annoying poetess. Holed up for all eternity in the bedroom of our minds, the “woman in white” stretches into a projection screen for truths, half-truths, and truth-less-ness. She’s whatever you want her to be and nothing you imagined. Emily Dickinson is the definition of a difficult woman. 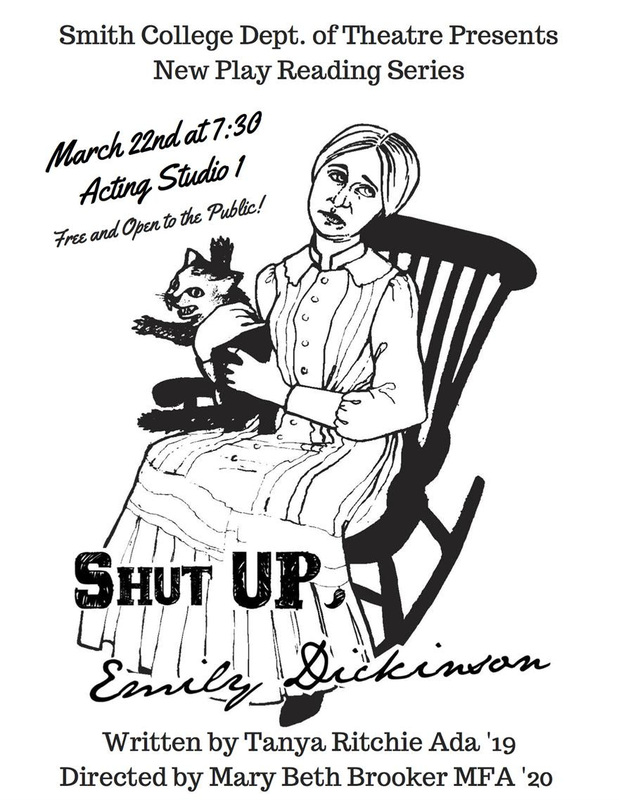 Written by Tanya Ritchie and directed by Mary Beth Brooker, Smith College will present “Shut Up, Emily Dickinson” on Thursday, March 22 at 7:30pm. Free and open to the public.